One of the most often heard criticism about Tesla in 2017 was the Elon Musk-led company will never scale to become a large-scale auto manufacturer. It was a bit difficult to believe that a cash constrained unprofitable company will be able to quadruple its production in less than two years. But a lot of things changed in 2018. Now its Tesla’s turn to question competitors ability to scale. Tesla can now ask its competitors if they are ready to invest today for scale tomorrow or if they want to hold their cash and profits today for smaller size tomorrow. 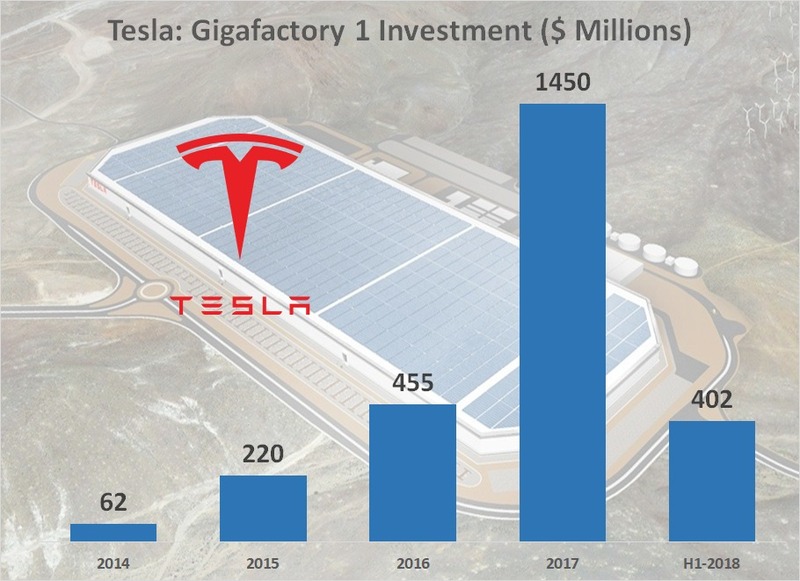 Thanks to Gigafactory 1, Tesla is the company with the scale, while competition is niche players in the EV segment. Tesla is the world’s largest electric vehicle manufacturer. The Palo Alto, California based company can build more than 7000 all electric-vehicles in a week. Tesla wants to increase capacity beyond 10,000 units per week late this year or early next year. That’s the equivalent of building one fully electric vehicle every minute. Deepak Ahuja, Tesla’s Chief financial officer said in the recent earnings call that Tesla accounted for nearly half the world’s EV battery production in the third quarter of 2018. Tesla now accounts for 50% of global EV battery production. How long will a single competitor take to reach Tesla’s current battery production capacity and where will Tesla be by then? When it comes to building electric vehicles, Tesla is the auto maker with size and it’s scaling fast. Electric vehicles accounted for just 1.3% of global auto sales in 2017. A bit more than one percent is nothing to write about, but a growing 5% is a lot to talk about. According to McKinsey’s Electric Vehicle Index, Electric Vehicles will capture 5% of global light-vehicle market-share by 2020. One Million EVs in 2017 to 4.5 million by 2020. EV (Electric Vehicle) is a small growing market. ICE (Internal Combustion Engine) is a large declining market. As more and more auto companies add electric vehicles to their fleet, EV marketshare will continue to grow for many years at the expense of fossil fuel powered vehicles. Those who had ever driven electrically are lost for the internal combustion engine for all times. The challenge that lies in wait for large automakers is not how many cars they can build, but more about how many batteries they can build now and how quickly they can increase battery production. Chevrolet Bolt is a great car. Has excellent reviews, offers great mileage per charge and the pricing is perfect. 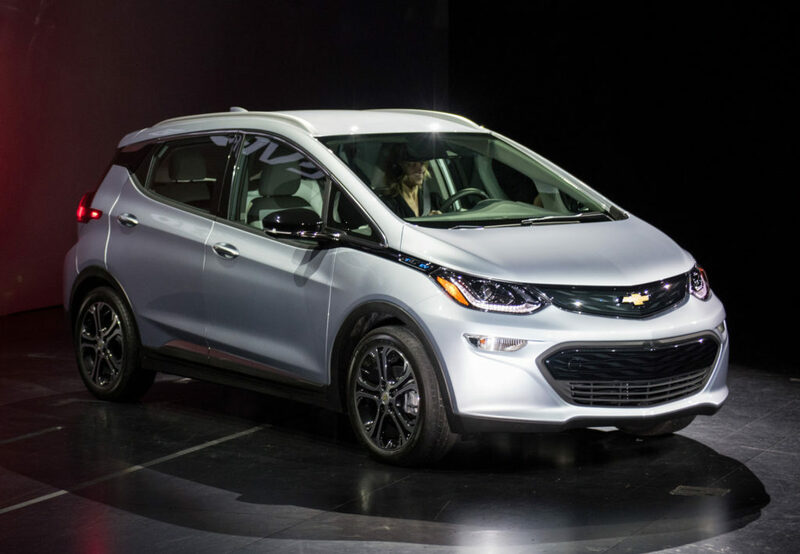 General Motors sold 3,483 Chevrolet Bolt in the second quarter of 2018, a decline of 22.6% compared to the same period last year. GM’s star didn’t suddenly fall out of favor with the market. The EV from GM stable is just going through its version of production hell. GM builds Bolt in a single factory in Orion, Michigan. According to reports, GM can build 25,000 to 30,000 Bolts every year or 2,000 to 2,500 Bolts every month. Data from Insideevs show that GM sold 11,807 Bolts in the United States in the first three quarters of 2018 while delivering more than 8,778 Bolts in International markets. GM has sold more than 20,000 units in nine months. Bolt’s deliveries are in line with the rumored production capacity in Michigan. “Demand for the Chevrolet Bolt EV, especially in the United States, Canada, and South Korea, has outstripped production. The extra production coming on line should be enough to help us keep growing global Bolt EV sales, rebuild our U.S. dealer inventory, and bring us another step closer to our vision of a world with zero emissions,” GM said in a statement. Chevrolet Bolt EV demand outstripped production. Either GM is not able to increase production at a sufficient rate to meet current demand or GM wants to keep Bolt production growth on a tight leash. Tesla went through a monumental production struggle in the first half of 2018 and GM is going through a production struggle of its own. GM and Tesla: Irrespective of the size, expertise, bank balance, and headcount, companies need some extra long effort to increase battery production. Why would GM, a company that builds 10 million cars annually, launch an all-electric car with a market-beating range, price it squarely around $35k and then limit production growth? But at $209 per kWh, it’s still expensive for automakers. At that rate, Bolt’s 60 kWh battery alone would cost more than $12,000. That’s a lot for a car that start’s at $36,250. According to Klaus Frölich, BMW board member in charge of development, Electric vehicles will always be more costly than fuel-burners. “No, no, no,” was Klaus Frölich’s reply when asked if Electric Vehicles will ever equal the prices of equivalent conventional cars. “Never.” “It’s very simple,” said Frölich. In EVs with 90 to 100kWh battery packs, the cell cost alone will be $17,000 to $25,000. “You can produce whole cars, only with the cost of the battery,” he added. If GM is losing money on Bolt, a highly likely scenario, then GM has every reason to keep Bolt production ramp as slow as possible. Take it slow and keep it steady. It’s long haul anyway. Volkswagen: As early as 2020 we intend to sell 150,000 e-cars, of which 100,000 will be the ID. and ID. SUV. BMW: By 2025, we will offer 25 electrified vehicles, I have to say at least 12 of them will be fully electric. Volvo: Targets 50% of sales to be electric vehicles by 2025. GM: Plans to launch 20 all-electric vehicles by 2023. As you can see, these are all five “+” year plans. No one is talking about a targeted ramp in 2019 or even 2020. Factories cannot be built overnight: It takes time, money and effort. 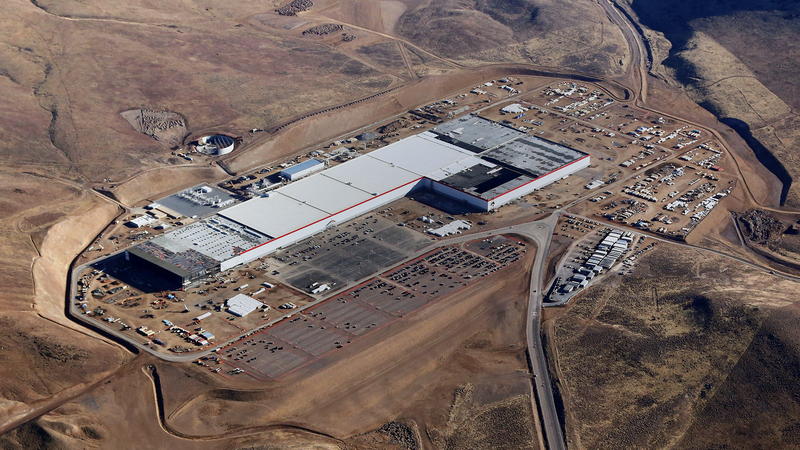 Tesla and its partner Panasonic invested more than $5 billion in Gigafactory 1 and it has been four years since they started building Gigafactory 1 outside Reno in Nevada. Tesla is now gearing up to build Gigafactory 3 in China. Tesla CEO Elon Musk told investors that the company expects to spend around $2 billion for an annual production capacity of 250,000 cars. Tesla expects Gigafactory 3 to be online sometime in 2020. Even if we assume Tesla’s Gigafactory 3 to be at full capacity by 2020, Tesla would have spent $2 billion and taken two full years to build 5000 cars per week in China. 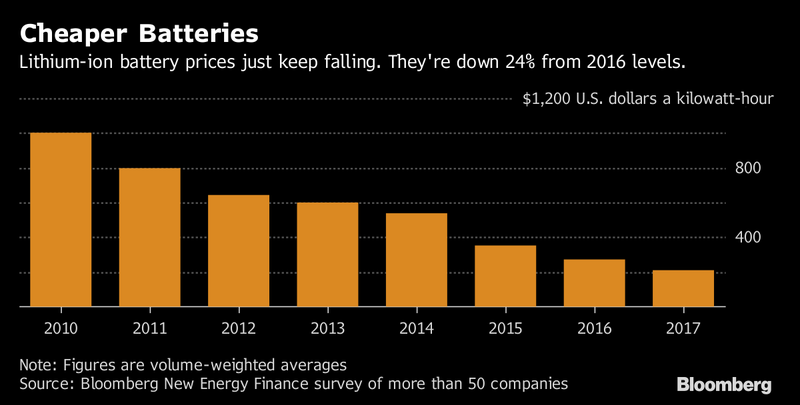 That’s the time and money needed for a company that built half the world’s electric car batteries in the third quarter of 2018. Call that a car battery production benchmark if you must. If someone is going start now, the zero to 5000 units per week (battery production) sprint is going to take at least two years and $2 billion. But the problem is two years later they would have only matched Tesla’s Model 3 weekly battery production capacity of September 2018. Under normal circumstances, a ramp of this scale would not be a problem for companies with deep pockets. All they have to do is take ten billion dollars to build multiple plants and target annual production of million units in two years. How much money will they lose per unit when lithium-ion battery pack costs $209 per kWh. What will be bottom line hit over the next four to eight quarters? How will you explain it to Wall Street? Flat or slow revenue growth on top of shrinking operating income because we are transitioning to EV? Tesla reached battery cell cost of less than $190 per kWh in early 2016 and the company expects costs to fall closer to $100 per kWh by the end of 2018. If achieved, it will be a near 50% cost reduction for every kWh. $100 is widely seen as “a tipping point in the adoption of EVs” because at that price point the cost of batteries will become reasonable for car makers to make some profits. The lesser the $ per kWh the better. Tesla’s increasing scale in building batteries will continue to add cost benefits to the company. Tesla’s battery partner Panasonic is in the process of adding three more production lines in Gigafactory 1 on top of the existing ten lines. Capacity is expected to reach 35 GWh once the new lines go live. The ramp will help Tesla increase production from 7000 units per week and reach its targeted 10,000+ units/week in early 2019. Now compare that GM’s capacity of 2000 to 2500 Bolts per month, two years after delivering the first Bolt on December 13, 2016. Tesla killers may be hitting the road one after another, but how many can deliver 10,000 units every week. Forget 10,000, how many companies will be able to deliver 2,500 all-electric vehicles every week by 2020. In my opinion, ramping up battery production is not an impossible task. But it’s made near impossible to execute over a short time frame because these large auto companies are public corporations concerned about the impact quarterly/annual results on the stock price. Wall Street and short sellers made life hell for Tesla, now they will make life hell for Tesla’s competition.